F/s rcbs auto primer $25. Thread: F/s rcbs auto primer $25. 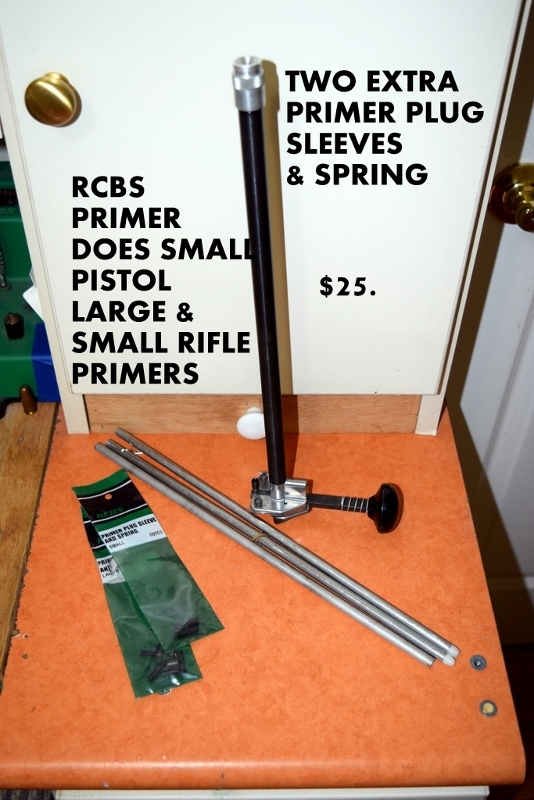 RCBS AUTO PRIMER TAKES SMALL PISTOL, SMALL AND LARGE RIFLE PRIMERS. COMES WITH 2-EXTRA PRIMER SLEEVE AND SPRINGS. $25, TAKES IT. NORWOOD, BERGEN COUNTY. A little turkey season primer. Point Me To A Sighting In Primer?